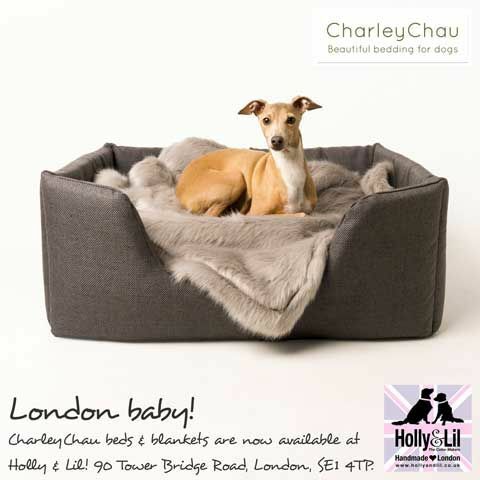 This has been a long time in the planning but Holly&Lil are now the first London Stocklists of the luxury dog beds & blankets by award-winning British dog bedding designers Charley Chau. 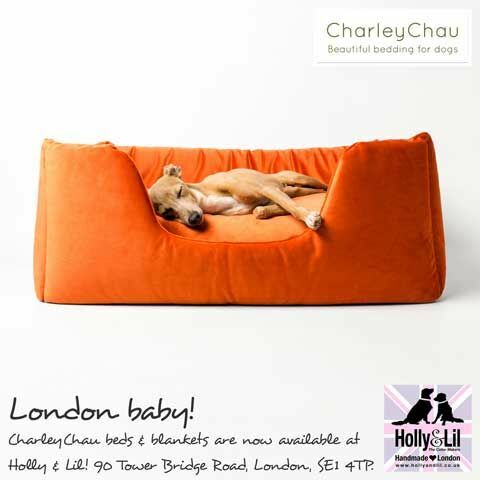 Beautiful bedding for dogs that looks gorgeous in your home And in our opinion Charley Chai are to beds what Holly&Lil are to collars. 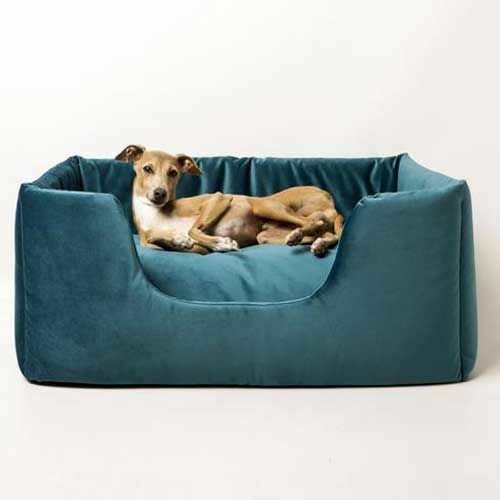 Inspired by their four Italian Greyhounds, they focus on designing luxury dog beds and dog blankets that are super-cosy, stylish & practical; made to perform over time. Our gorgeous Deeply Dishy Dog Bed takes its name from its deep, cosy sides and the luxurious deep-filled mattress - perfect for nestling into for a nice long snooze! Available in VELOUR - it was time to design some bright and beautiful Deeply Dishys! The luxurious mattress in our Velour Deeply Dishy Beds has a contrast colour cover with smart piped edge detail. Three beautifully bright and bold, contrast colour combinations - choose to set up your dog’s Deeply Dishy Bed as one solid colour throughout or flip the mattress for a contrast look! Our Velour fabric is super-soft to touch but it’s an upholstery grade fabric too so it’s remarkably resilient Velour is fab for handling dog hair – shake off or hoover! Finished in our upholstery fabric in Weave the Snuggle Bed in Weave is super-cosy and super-stylish too! 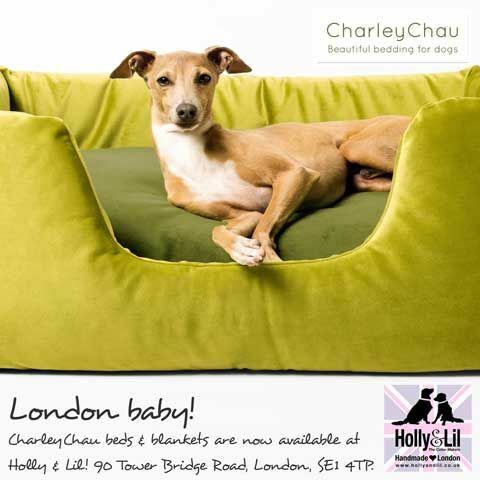 Deeply Dishy Bed Sizing Charley Chau Deeply Dishy Dog Beds are available in two sizes: Small - approx. W65 x D53x H28cm - good for smaller sized dogs such as Pugs, Cavalier King Charles Spaniels and leggy Italian Greyhounds. Medium approx. W78 x D60 x H 29cm - good for larger Spaniel and Terrier breeds and some smaller Whippets.